The TAP program at SHUFFLES, under the direction of Gail P. Crutchfield, focuses on broadway-based Tap with a strong emphasis on rhythm, musicality, and style. Students are taught by SHUFFLES’ outstanding tap faculty with live music in every class. Each tap class is grouped by age and ability. Invited classes are by audition only. Ages 3-19. The MUSICAL THEATER program, under the direction of Buddy Crutchfield, uses a faculty of experienced Broadway actors, directors, choreographers, and musical directors to give first hand skills to students. 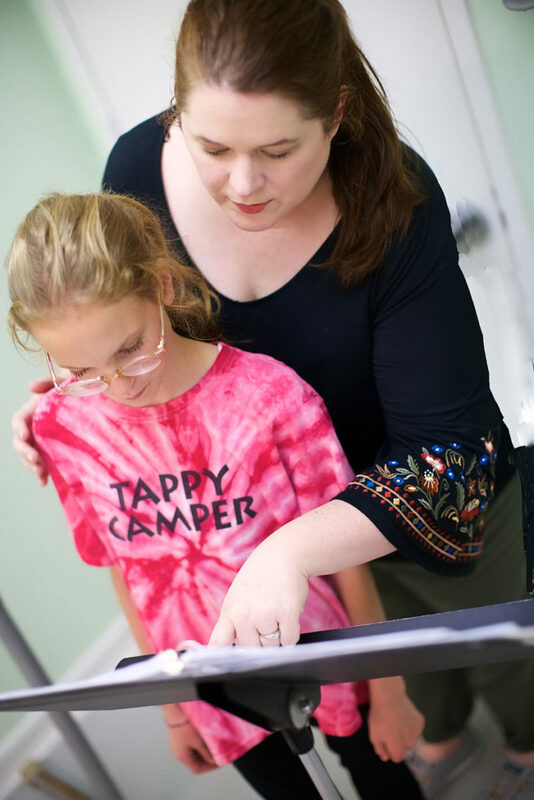 Classes focus on acting, vocal, theater dance, and audition technique using a variety of scripts, styles and shows. Invited classes are by audition only. A one of a kind program for New York City’s youngest tap and musical theater stars, ages 18 months to 3 years!​ ​Start your little one’s dance journey on the right foot—with tap shoes! Theater Jazz explores style and original choreography from Broadway Greats like Bob Fosse, Michael Kidd, and Jerome Robbins. The specialized “Leaps and Turns” class adds more advanced technique with a focus on those skills. Jazz faculty at SHUFFLES is made up of Broadway dancers, choreographers, and other dance professionals. Theater ballet gives musical theater and tap students an opportunity to become better dancers by incorporating ballet technique to their training. The faculty consists of ballet dancers from The New York City Ballet, The School of American Ballet, and Miami City Ballet. The Ballet/Tap Combo class is for younger students looking for an introduction to both ballet and tap. This class is for dancers ages 6-8. The hour long class is ½ ballet and ½ tap with a musical director at the piano. For students looking to take their technique to the next level, SHUFFLES offers private coaching for tap, theater jazz, ballet, acting, and voice. high school and college admissions coaching is also available. All classes are held at STUDIO MAESTRO located on Manhattan’s Upper West Side at: 48 West 68th street (between Columbus Avenue and Central Park West).